Science fiction novels have been, through the modern history of the printed book, a space for innovation and creativity. Their cover art, in particular, was something special, and beautiful. In a new video, Nerdwriter runs down the history of cover art in the scifi novel, which is a history of visionary, weird artists playing within a distinct and fascinating space. He makes a compelling argument here for scifi book covers as a special, beautiful artistic space, doing distinctive and strange things throughout the entirety of the 20th century. Some of this stuff is pretty iconic, but I didn’t know the history of the genre’s development in the detail that Nerdwriter spells it out. 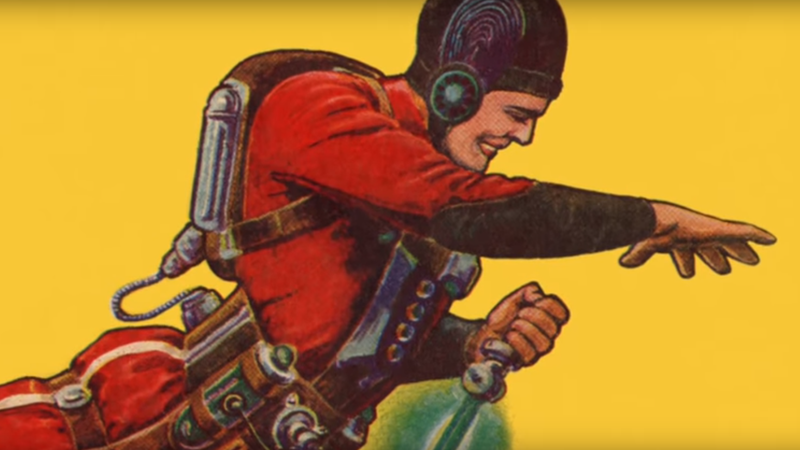 If you’ve ever spent way too long staring at an old pulp scifi paperback’s psychedelic cover, this video is for you. Check it out.